Our Business List Database contains a massive database storage that delivers excellent business listings to our clients. By purchasing our USA Transportation & Public Utilities Database information, you will have access to tons of USA Transportation & Public Utilities related companies. Our team provides the freshest business database in the web for B2B purposes. 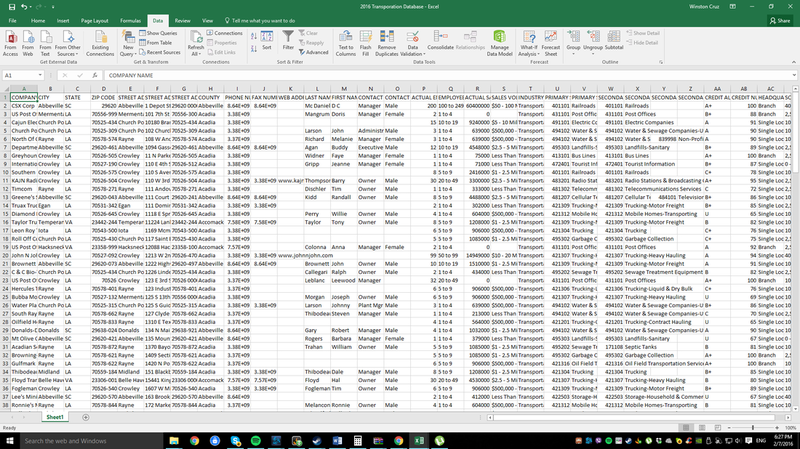 For Transportation & Public Utilities Database, we have a total of 460,754 government and organizations listed compiled in CSV format that can be opened via Microsoft Excel to give you ease of access and unlimited export, search and edit features.